Evo & Grace: The WanderLusts: The God through Agnes eyes. Of Gods and demons, failure to disappointment’s, lie and courage, this are the thoughts you will encounter in watching the latest Repertory Philippines production of “Agnes of God”, a gripping and intellectually provoking drama about a nun in a convent who mysteriously deliver a baby, either conceive or by anything, that is the issue. Still under its 50th year anniversary celebration, this exciting production under the direction of highly acclaimed Bart Guingona, star Pinky Amador as Mother Superior, Menchu Lauchengco-Yulo as Psychiatrist Dr. Livingstone, and for the title role is the refreshing, sweet and innocent Becca Coates as Agnes. The story evolve on Sister Agnes, on what really happen that night she supposedly gave birth, that was the mission of Dr.Livingstone, to uncover the truth, to prove if there is really a miracle happen in the convent, and at the same time she undergo some reality checking, her faith to God and her personal struggle as a person. 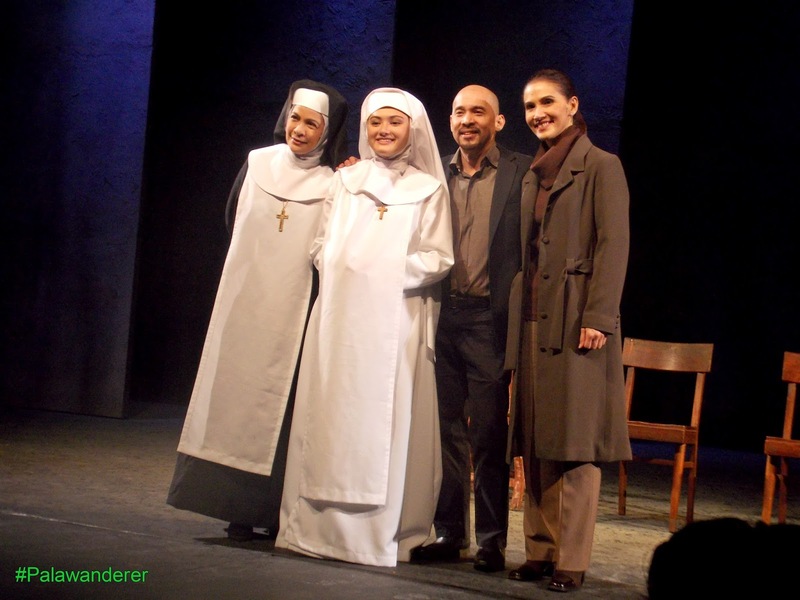 It is a women empowering performances covering three generations of ladies, a very engaging one for Mother Miriam as play by Amador, who exude a finest and convincing acting on how she protect Agnes, of course Yulo as authoritarian and professional indeed is great as it is, her monologues are perfectly delivered. Becca as divine as she is, act so naturally that you will believe she is a new Mother Mary, in this generation where sins are everywhere. The sets by Joey Mendoza, a Set Design Professor at Fordham University in New York will give you goosebumps, his simply, minimalistic and yet illustrative sets is something new to my eyes, unbelievable perfect that it is inside the convent, that it is inside an office, and even in heaven for God sake. The Cast and Director of Agnes of God. 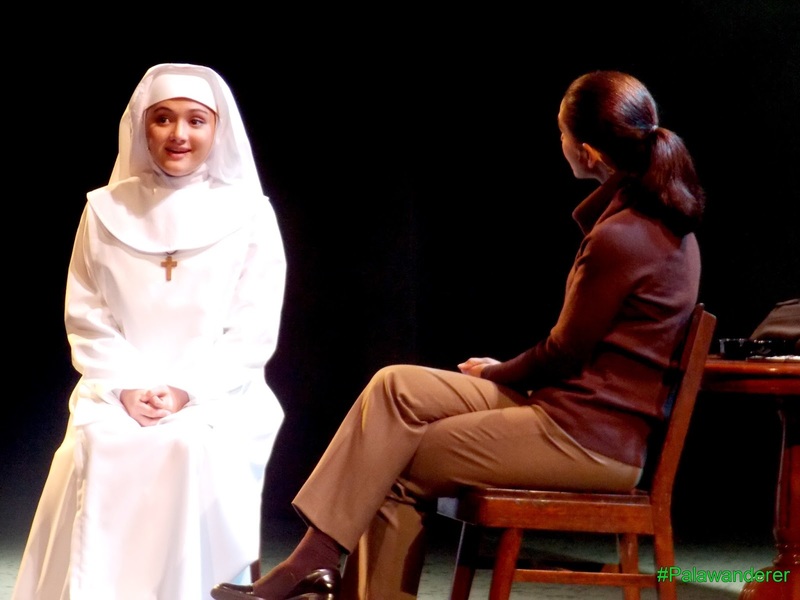 Agnes of God was first stage by Repertory in 1983 with Amador as Agnes, written by playwright John Pielmeier is broadway hit in 1982 and was even adapted into film in 1985. This year’s production opens last Feb 17 and run until March 12 at the Onstage Theater in Greenbelt 1 at Makati City. For tickets and inquiries, call Repertory at 843-3570 or at Ticketworld at 891-9999 or log on to www.ticketworld.com.ph. For updates and show schedules, check www.repertoryphilippines.ph .